When asked to write about my single favourite album of all time, I realized it was one of the hardest questions I've ever been asked. I had my initial reaction, then doubt, then days of changing my mind until I came to the conclusion: go with your first instinct: The Posies Dear 23. I then promptly changed my mind about both artist and which album by the artist, until finally resolving that until I start writing about it, I'll never be sure. So, I chose Dear 23 over every other album I have ever heard. Gulp. I also knew it would be me writing in first person for the first time, which goes against everything I know about writing a review. So, objectivity be damned. This is about me and my favourite album. By the time of their second album, Dear 23, the Posies had become a household name in the Pacific Northwest, hailed by critics and fans alike. Their debut, Failure on Conrad Uno's Popllama Records was written, recorded and performed by Jon Auer and Ken Stringfellow, calling themselves the Posies at the last minute when forced to provide a name for their group. All songwriting duties from the beginning were shared by the duo; they also remained the only constant in a group with an ever-revolving change of rhythm sections. After the release of Failure in 1998, they enlisted the help of Mike Musburger (drums) and Rick Roberts (bass) to flesh out their live act, and continued with this line up for the recording of their major label debut, Dear 23. Roberts left the band before the recording of their next album. Legendary producer John Leckie was brought in by DGC to help guide the group's sound. Leckie is notable for engineering albums by John Lennon, George Harrison, and Pink Floyd, later producing such influential albums as The Stone Roses' debut and Radiohead's The Bends. Dear 23 opens with "My Big Mouth", a tale of infidelity borne out of guilt, that includes the line "And I suspect that you suspect /And didn't I say feelings /Are the last things to make themselves felt". As with much of the album, it has both ringing acoustic and electric guitar, and the trademark vocal harmonies of Auer and Stringfellow. The song is like an uptempo folk song with pop sensibilities, which again is a characteristic of most of the album. Like their predecessors (and direct influences) Big Star and the Hollies, the Posies married elements of folk and classic pop, and made the vocals as prominent as the music. "Any Other Way" is another song to fit this mold, but lyrically ups the ante. "She left me alone / Claiming we'd run out of things to fight about / I was crushed of course/ But at least I've something I can write about" is the ultimate pop songwriter's dilemma, the creative upside to feeling bad. this is followed by the line "I guess I'm just some kind of malcontent / Who gets paid for having nothing good to say / And even though it doesn't pay the rent / You know I wouldn't have it any other way": dilemma resolved for the sake of art. If there is a theme to Dear 23, it may be one of domesticity. Both writers quite obviously had relationships and breakups on the mind when writing these, with no less than two songs making mention of conception and/or marriage. Included in these is the gorgeous "Golden Blunders" (a take on, of course, the Beatles "Golden Slumbers", the track was eventually covered by none other than Ringo Starr). The song is full of stark images of a loveless relationship, bound by a lapse in judgment: "But even if you never speak again / You've already made the wedding vow". The words are punctuated by chimes, sounding like wedding bells. "Suddenly Mary" begins with a solemn, almost gospel sounding three-part harmony, followed by a whispered count-in. Another song a marital woe, its at times dense lyrics of being drawn into a relationship (the title itself a giveaway play of homonym), give way to simpler ones: "I used to stand on my two feet / But now I sit when my new wife talks". With its swaying, midtempo beat and acoustic strumming, the song grows in intensity and ends with a sing-along crescendo. The vocal harmonies here are again stunningly sweet, even when the words are bitter. Wordplay has long been a feature of the Posies music, and both Auer and Stringfellow are cleverly adept at turning cliches and adages on their head. The only all-out rocker on Dear 23 (a preview of things to come on the Posies third album Frosting on the Beater), "Help Yourself" makes extensive use of twisting words. "Though we didn't have a lot / But one was quickly bought / Then we built upon this ground / Something we thought was sound / But in reality was silence" is crafty enough, but a line like "Sometimes I wish I was asleep / And you were just another sheep" works on many levels. Something dreamed? Another notch on the bedpost? Something that goes away? All this and more. The same goes for "Don't feed the hand that bites you / Just learn to starve" from "Any Other Way" -- a reversal of words urging resistance to giving in; but by giving up? Sometimes oblique, sometimes simple, the Posies' lyrics are always interesting, a real draw to their music. Musicianship is also a big component of what makes Dear 23 so special. From soaring yet taut vocal harmonies, to the dual guitars of Auer and Stringfellow, down to the deft rhythm section, each player clearly shows their faculty within this music. "My Big Mouth" and "Help Yourself" are perfect examples of Musburger and Roberts' ability to play tightly together, with Roberts' bass lines walking all over Musburger's tasteful and prominent playing. The groups' shared musicianship comes to a head on the record's final track, "Flood of Sunshine". 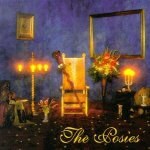 Clocking in at over eight minutes, it remains one of the most emotionally packed, defining songs of the Posies' career. It contains the album's simplest lyrics, with the bass, drums and acoustic rhythm guitar kept to a minimum until the second half's crescendos. Beginning with a church organ sound, it gives way to simple acoustic strumming and backbeat. But it is Jon Auer's lead guitar that is the (big) star here. Soaring through no less than three solos within the song, his fuzzed out guitar is pure bliss. The words begin and end with "We could drown ourselves in a flood of sunshine / We could walk all night still I'd see sunshine", the music ebbing and flowing back and forth from delicate rhythmic strumming to the wall of sound it ends with. This is the type of jam rarely captured well in the recording studio. It is still exhilarating to listen to this song 12 years later, and remains a big closing number for many of the Posies' live shows. So why is this my favourite album of all time? There are several reasons, not only described the songwriting and performance described above, but more personal reasons. It was the type of record that came to me at the right time, 19 years old and finding out about the world. If it hadn't been for a chance hearing of some of the record on a Seattle radio station in my friend's dorm room, I don't know if I would have heard about Dear 23 at the time it came out. Ironically, my friend never became a fan, but I certainly did. The record helped shape my music preferences, which always lean towards classic pop, in whatever form it takes. The songs and lyrics resonated with me then, just as much as they do now. I can pull this record out at any time to listen to it, I don't have to be in the mood for it. It has stuck with me as much as I have stuck with it, and there is nothing more comforting than that.